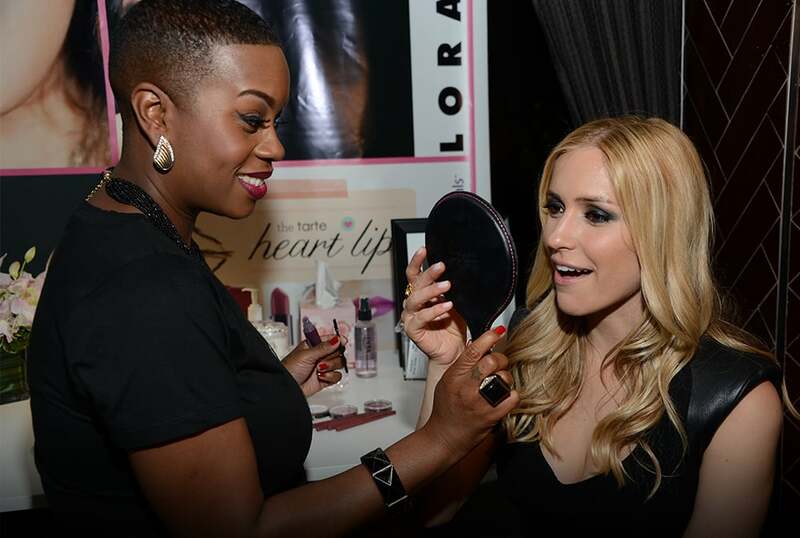 Seeking to expand ULTA Beauty’s national brand presence and support its position as beauty experts, Carrie pursued an opportunity to incorporate ULTA Beauty into a new modeling reality show produced by and starring Naomi Campbell on the Oxygen network. The show was to air for 8 weeks, but Carrie strategically negotiated a partnership that would garner pre, post and air date publicity. The multi-layer partnership, which included ULTA artists doing contestants’ makeup, use of ULTA-branded cosmetics on air, an in-store contest across ULTA’s 500 stores and the winner becoming “The Face” of ULTA Beauty to appear in ads, provided rich media content. Anticipating high media interest in this first-time show and its 3 judges, supermodels Naomi Campbell, Coco Rocha and Karolina Kurkova, Carrie led the PR team to implement on the partnership, working closely with the show producers to ensure excellence during taping. The winner of “The Face” appeared in ULTA ads and promotions starting 6 months after the show finale for a period of 12 weeks. In addition, she appeared in regional editorial fashion spreads. In addition to the weekly viewership for the show, publicity for ULTA’s participation in The Face reached more than 180 million impressions, and included multiple, full-page stories in InStyle magazine, Marie Claire and US Weekly. Publicity was ongoing for more than a year. 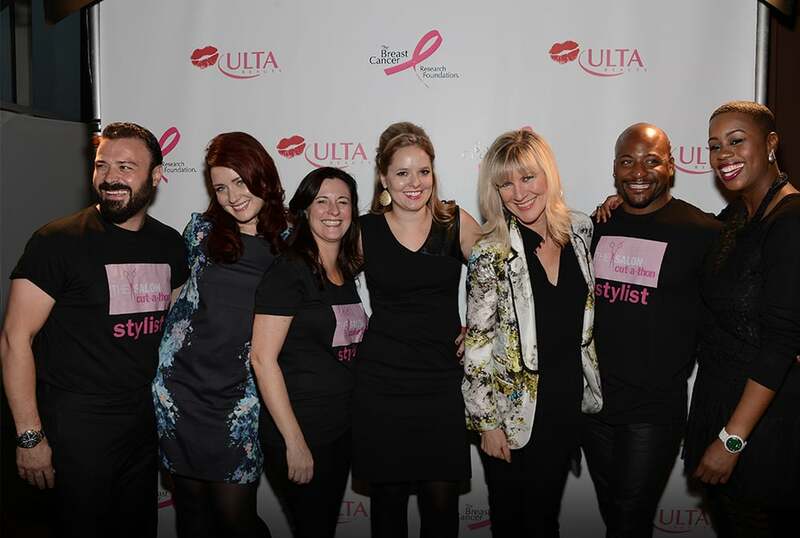 A newly themed initiative, “Donate with a Kiss,” was initiated by ULTA Beauty to invigorate fund-raising efforts on behalf of its charitable partner, The Breast Cancer Research Foundation®. Carrie was tasked with creating a new PR strategy for “Donate with a Kiss” to support in-store and online fund-raising in October. PR had to be integrated into national marketing and merchandising strategies. Working with ULTA’s public relations agency, a strategy to “lead by example” was developed. Celebrities and influencers would set the tone by donating their lip prints,which mimicked the "kiss" stickers offered in ULTA’s stores in exchange for a donation. This strategy would also provide ample content for social media, publicity and events. The PR plan included a kick-off event with one of the celebrities in New York to increase program awareness among national, New York-based media. The celebrities each year were strategically selected based on the degree that they could attract media and align with the brand and charity. Among the editorial stories, a full-page “guess the kiss” editorial ran for two years in two different national magazines. The support of popular celebrities, which included the Kardashians, Naomi Campbell, Elizabeth Hurley and Kristin Bell, underscored the importance of The Breast Cancer Research Foundation’s cause and helped motivate "kiss" donations at the stores. 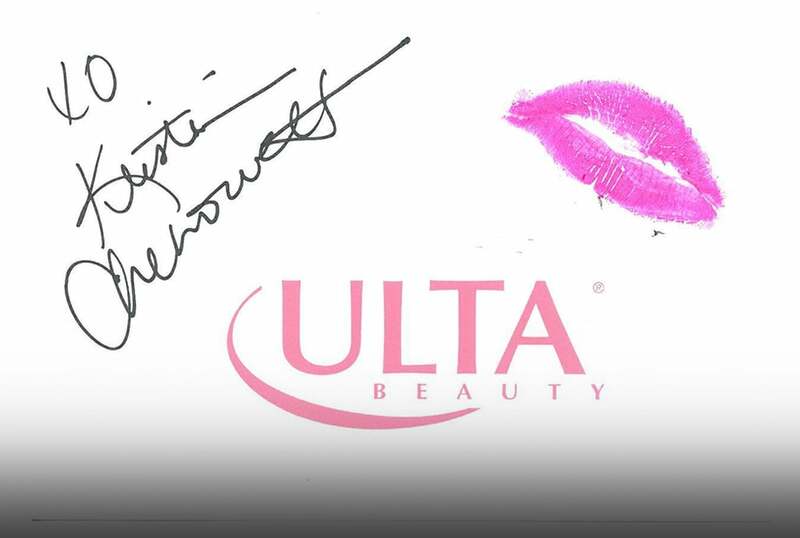 On ULTA’s Facebook and Twitter, fans were asked to “guess the celebrity kisses.” This theme provided engaging content for the weeks prior to and during October. Clues were given that increasingly made the guess easier, with the right answer spurring conversation about the “Donate with a Kiss” program and the celebrities who supported it. To re-invigorate the PR strategy in its third year, a Kiss Kart made its debut at the New York media celebrity kick-off event on October 1. From New York, the Kiss Kart traveled to 4 additional cities in October. In each market, the Kiss Kart was hosted by a local celebrity or series of local influencers, who rotated every hour. This generated donations, regional publicity and increased social engagement. Carrie and her team’s use of an integrated, national PR strategy, that included broadcast, online, print, and social engagement, increased media impressions substantially. In its first year, the strategy garnered 173,000,000 impressions. This grew to a ½ billion impressions in the third year, supporting fund-raising that reached $2.5 million in that year alone.